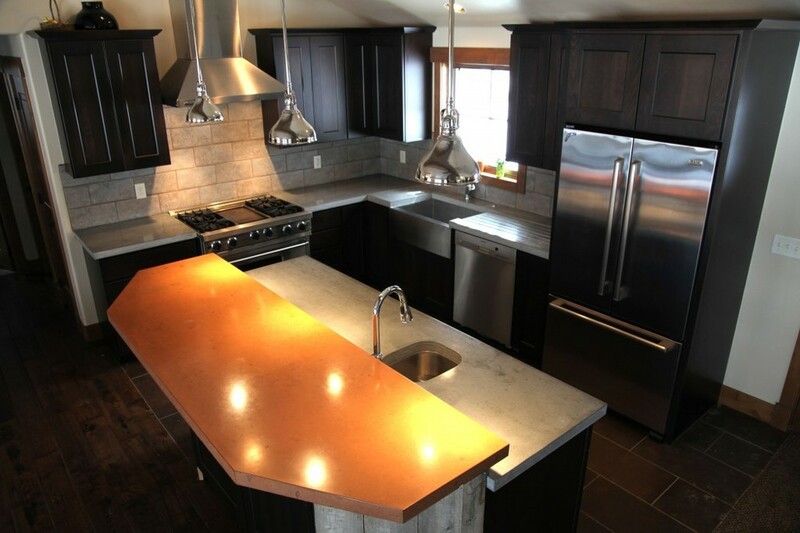 Integrated sinks, drain boards, cutting boards and other functional designs. Inlays such as fossils, glass, stone, heated coils, or other meaningful treasures, a medium that is 100% customizable. A variety of textures including smooth tile, soft velvet, or a time-worn stone. The design possibilities are endless. Your concrete will be a one-of-a-kind piece, designed by you. In addition to design, concrete has many utilitarian benefits. It is a durable medium that will last a lifetime. It evokes an earthy sentiment and can translate to a variety of ‘feels’ within your home, from modern, to rustic, to industrial. It can provide security and strength in walls, floors, bathtubs or other features. Concrete can serve as the foundation for your vision. Environmental impact is another reason to fall in love with concrete. Granite, timbre, and other synthetic based processes like linoleum, acrylic, or polyurethane, have massive repercussions on our environment. 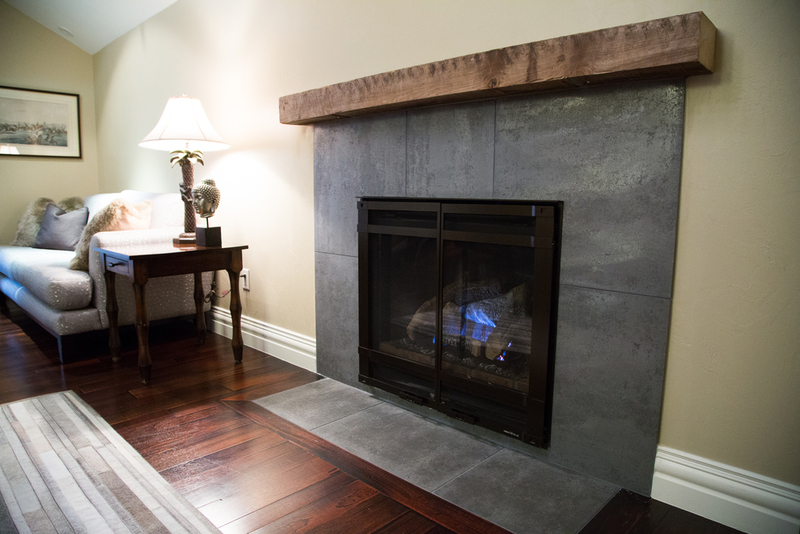 Concrete on the other hand, is a recyclable material, made locally, with a minimal carbon footprint and little waste. In addition, water is a precious commodity in Colorado. Stones Design Co. has switched from wet polishing to dry polishing, saving thousands of gallons of water a month as part of their pursuit to minimize impact on our environment.